The 12 things that a dog owner should be well aware if you don’t want to poison your dogs. 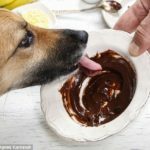 Chocolate contains a stimulant called theobromine (similar to caffeine) that is poisonous to dogs. Theobromine mainly affects the heart, central nervous system and kidneys. Many of the pets are unnecessarily poisoned due to their owners have little knowledge about the toxic food for their dogs. 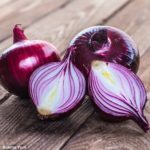 All forms of onion will make your pet ill including dried/dehydrated, raw and cooked onions. Be particularly careful when disposing of leftovers such as pizzas, Chinese and Indian food and even baby food often contains puréed onion. 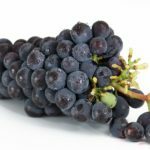 Grapes and raisin can be extremely dangerous to dogs. The signs and symptoms may not become apparent for up to 5 days after consumption. 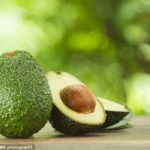 Avocados contain a substance called persin which can give dogs diarrhoea or make them vomit. 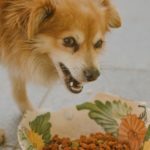 Before you feed your beloved dog leftovers from your dinner, Emma Hammett, the founder of First Aid for Pets, reveals 12 things to avoid in a piece for The Hippocratic Post. 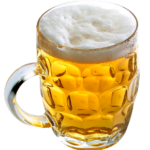 Alcohol is significantly more toxic to dogs than to humans and could cause vomiting, diarrhoea, decreased coordination, depression of the central nervous system, shaking, difficulty breathing, abnormal blood acidity, coma and even death. Caffeine can have a similar effect on chocolate. 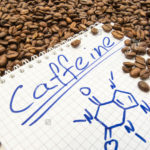 Dogs are more sensitive to the effects of caffeine than people and large quantities can cause toxicity. 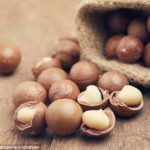 Macadamia nuts cause dogs to experience weakness, depression, tremors, vomiting and reduces their ability to maintain their body temperature and they may overheat. Symptoms typically last for 12 to 48 hours. 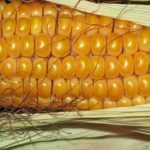 Corn on the cob and sweetcorn often results in gastrointestinal blockage and causes constipation, vomiting and can make them very ill.
Xylitol is an artificial sweetener found in many foods such as sugar-free gum, diabetic cakes and diet foods. 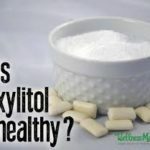 Xylitol has also been linked to fatal acute liver disease and blood clotting disorders in dogs. 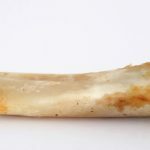 Cooked bones are particularly dangerous for dogs as the bones become brittle and can splinter causing choking or possibly puncturing further down the digestive tract. 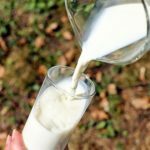 Milk and milk products can cause diarrhoea as dogs struggle to break down lactose. 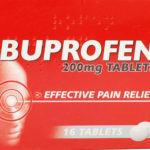 Ibuprofen coated in sugar is very appealing to dogs – if you suspect they have eaten them you need to get immediate veterinary help. Symptoms include vomiting, diarrhoea, bleeding from the gut, stomach ulceration and kidney failure. Dog Chewing is a common behavioural issue for dog owners, even though all of us know that dogs have a natural instinct to gnaw on things. Why dogs bite my coach, eat my shoes and tear up my carpet? 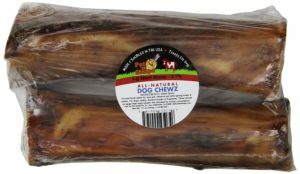 How to stop my dog from destructive chewing? 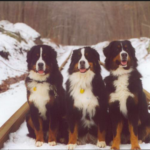 According to the article written by Doggy Dan, a professional dog trainer, we need to understand the root cause. Kong toy, large natural bone and chew treats are highly recommended. Dogs might do nail-bitting like humans when they are stressed or suffering from anxiety. Or they might bite your expensive stuff. One of the best ways to relieve your dog’s stress or anxiety is exercise. 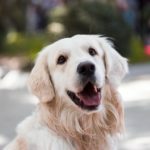 Reading dog training articles and talking with other dog owners are my methods to gain those ordinary techniques to keep my dog from destroying my stuff. Teaching a dog stopping chew stuff could take a while. I love my fur baby. Therefore, I would tolerate my dog until he changes his bad chewing habit. 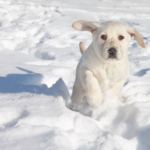 If you are looking for cold-weather pups, the list of top 8 dog breeds is for you those who live in a low – temperature region. 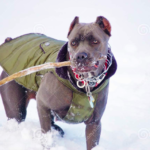 Because choosing the right dog breed for cold weather is important. Especially if we want the fur-baby as a companion who can enjoy outdoor activities with us. 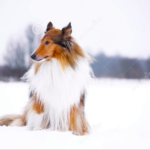 Dogs seem to wear a fur coat all the time, but it doesn’t mean that all the breeds can tolerate cold weather. 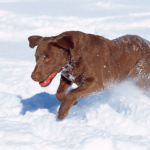 The data experts at PetBreeds, have made a long list of most popular breeds that can handle cold weather. 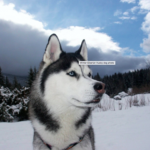 Maybe you already have a puppy is one of the top 8 dog breeds. That’s great! 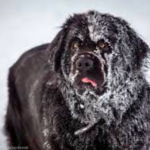 American Veterinary Medical Foundation recommends keeping pets inside in blow-freezing weather. Don’t forget to prepare high-quality dog dental treats, breath spray and chew toys for them. Dental hygiene is the essential factor affecting a dog’s bad breath and many dog parents have learned the importance of dental health in dogs. 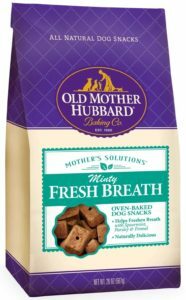 From dental chew, toothpaste to dog spray, many of us is trying different ways to fight with bad breath in dogs. Dental disease affects dogs’ overall well-being at any age during their lifetime. Bad breath signifies an oral problem to your dog. 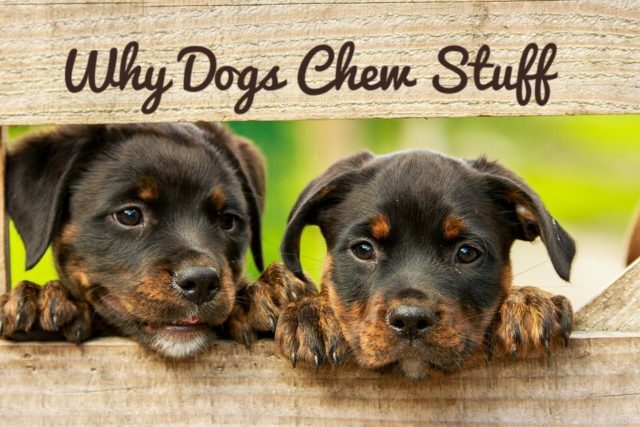 The potential damage is not only to your dog’s teeth and gums but a serious health risk. According to a report, the survey for 2,000 dog owners that revealed over half (50%) of dog owners believe that their dogs suffer from bad breath. (we might say that dog owners suffer from bad breath in dogs too.) The other half of dog owners think it is normal for dogs; however, it could actually be a symptom for poor dental health. 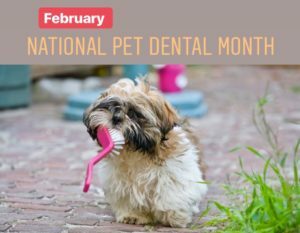 Many dog parents already know that not taking care of your dog’s dental hygiene can lead to bad breath, bleeding gums, dental plaque, and ultimately tooth loss. A lot of dog owners have aware of how important it is to take care of their dog’s dental health. But only 5% of the dog owners in the survey would worry about the negative consequences of bad breath in dogs. Therefore, it is critical to increasing awareness about dogs’ dental health to dog parents. Dog dental health is avoidable if dog owners who do care their dogs with a daily routine. 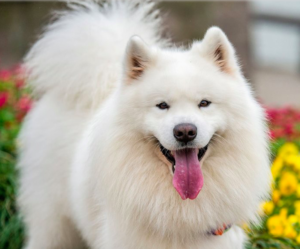 For example, giving high-quality dog dental chew to your doggies every day and brushing dog’s teeth from when they are puppies could help them to have sparkly white teeth. 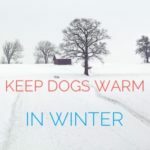 Hey dog owners! 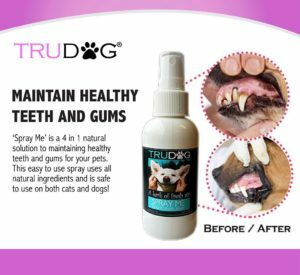 www.dogtreatsmart.com is #1 source for dog dental products. We are a participant in the Amazon Associate Program. 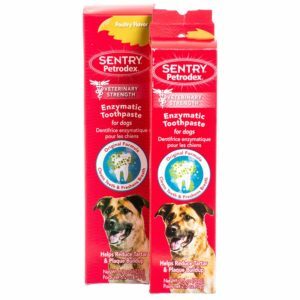 Today we recommend three dental products that can effectively combat with bad breath in dogs. 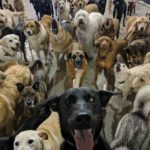 The following is several survey findings indicating dog parents are underestimating the importance of dental health. Under 50% of dog, parents take their dogs to vet for an annual dental exam. Only one in 10 dog owners take their dogs to the vet because of their bad breath. Those dog owners have spent on average less than £100 on their dog’s dental problems since having them. We Love Dogs and Give them the best Dental Care. Do you remember those dog news happened in 2018? A little dog may have won a spot in the record books by having a very big litter. 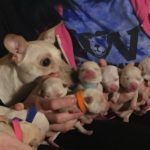 Unleashed Animal Rescue says it will be about 10 weeks before they’re ready for adoption. 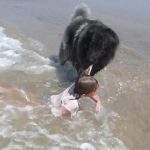 Deciding it was too dangerous for the little one to continue her leisurely swim, the pooch gently grabbed hold of her shirt with his teeth and dragged her towards the beach. 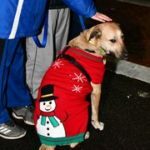 Experts say a large proportion of those “pet parents” will pony up when it comes to gifts for their furry friends. 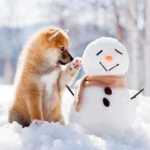 They enjoy the holiday with their owners together. 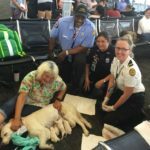 Eleanor ‘Ellie’ Rigby, a two-year-old yellow Labrador who serves as a guide dog, delivered the pups with the help of Tampa Fire Rescue’s medical team. Dogs are normally pregnant for around 65 days. Flying with a dog past 45 days is not recommended as it could induce early labour. Griffin accompanied Hawley to classes at Clarkson University in Potsdam — as well as to her internship in Fort Bragg, North Carolina, where she helped soldiers with disabilities. Reid Thompson and his girlfriend were on a hiking trail in Kenora, Ontario. Over the weekend when they let Finn off his leash. Someone called the police because Finn ran away and attacked a deer. 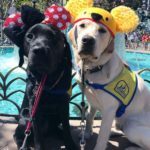 A group of service dogs got together to hang out at Disneyland for the day, and the pictures prove the group of floofy friends were an even bigger attraction than the rides. 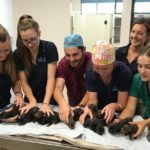 Staff at West Coast Veterinary Clinic in Forrestdale saw 18 healthy Doberman puppies born from four-year-old Sassy on Monday. Veterinarian Aaron Raney led a team of 10 to perform a caesarian on Sassy, which took about 90 minutes. 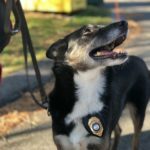 Ruby is one of several dogs featured in “Searchdog,” an award-winning documentary about search and rescue specialists and their K9s. Christmas is almost here. It seems that the possibilities for decorating are nearly endless. Maybe you still think about a Christmas doormat. 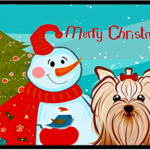 An indoor or outdoor mat with your favourite dog breed for this Christmas. 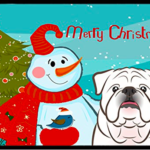 Many of us are decorating our house for the special holiday; choosing an indoor or outdoor Christmas doormats with your favourite dog breeds could be an ending for Christmas preparation. Click the picture below. Wash with high pressure from your garden hose or with a power washer. 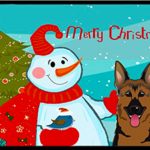 Bring a Christmas doormat with your favourite dog home this Christmas !Happy Holidays! A man in Whittier has gone the distance for a tiny hummingbird his once-feral dog helped rescue. Now, Hummer is just another member of the family. This dog can’t control his emotions when he realizes he’s going home with his best friend that he hasn’t seen in two years. Have you seen puppies unleash someone’s inner joy? Puppies really make almost everyone’s day better; these pups are making the day better for shelter dogs too. Love makes EVery day beautiful for dog lovers. How to keep a dog entertained while at working ? Red dog chew toy KONG Stuff-A-Ball could be a good solution. 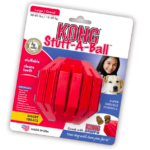 KONG Stuff-a-Ball is perfect for stuffing with KONG Snacks. Stuffing healthy treats into a KONG keeps dogs happily working with and out of trouble for long periods of time. Red dog chew toy KONG helps dog to have fun, clean teeth and give dog owner more free time. Ryan B. took the video and wrote for KONG Stuff-A-Ball Amazon Review: Overall I’d say she likes it! She got to the milk bones inside by completely crushing the ball to break them up inside so they could drop out. It kept her busy for at least an hour, which is a great way to get her chewing urges satisfied. Tibetan Mastiffs are known to chew through some crazy and disturbing things, like metal for example. I saw the power as she just collapsed this ball on itself, and it’s a pretty stout toy! The ball survived and will be used often. Overall, I’m happy with it! The KONG Classic has been the gold standard of dog toys for over 36 years. Their super-bouncy, red natural rubber compound is unequaled for dogs who like to chew. Dogs like their red dog chew toys KONG Stuff-A-Ball. While many of us are preparing candy for kids running door to door, have you been thinking of celebrating Halloween with your pups ? Dog Treat Smart has tips for dog to have a safe and tasty Halloween night. Dress your pups up if they like – Pups will be very cute if you could dress them up in Halloween costumes.Image how the kids could be delighted if they see “Halloween dog”. However, not all the dogs feel comfortable in wearing outfits, and some dogs might be allergy to the material. If in this case, dog owner should take the costumes off for your pups right way. Watching your pups when opening the door– It is inevitable to open the house door constantly to trick-or-treaters at Halloween night. 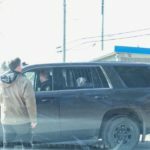 Facing those strangers showing up in front of your house, pups might be barking or jumping over them (dog might be stressful or excited to see strangers ). 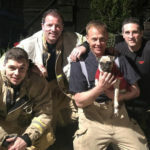 With the door constantly opening every few minutes, the consequences would be that your pup run out into dark street dramatically.Therefore, making sure your pups have appropriate behaviour when your front door is opening. No candy for pups but DENTAL TREATS– Halloween night your pups perhaps tempt you give them candy to enjoy when they see you treat those strangers. Please be aware that candy can not be shared with “Halloween dog”. Not only candy contains sugar, but it often contains Xylitol, a sugar alcohol. Although it has no apparent harm to human, but is extremely toxic to dog. It definitely rots dog’ teeth;it also leads to damage overall health to dog, including kidney and insulin failure. 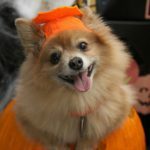 Here comes the important tip for dog owner to provide distractions from those sweets for your “Halloween dog” – putting the candy away and offering dental treats or toy from www.dogtreatsmart.com. Happy Halloween from Dog Treat Smart ! Can dogs go on a vegetarian diet?